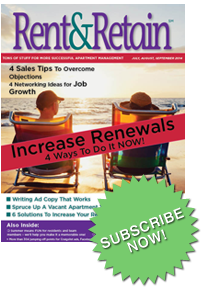 Rent and Retain Magazine is a jump-start collection of ideas designed specifically for the property management professional. 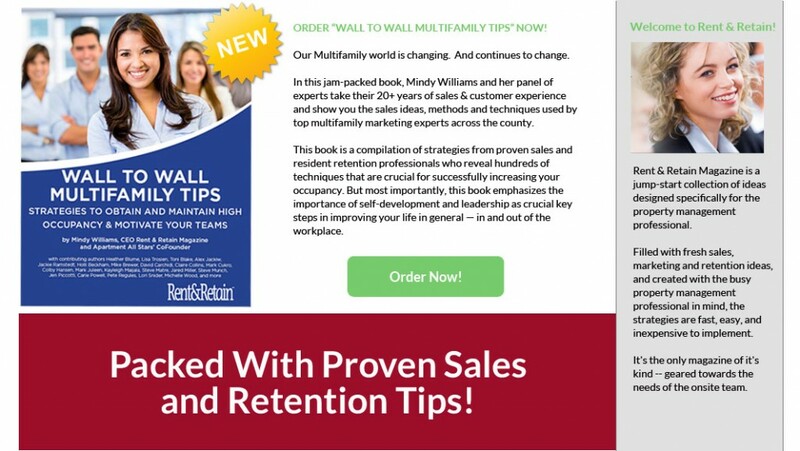 Filled with fresh sales, marketing and retention ideas, and created with the busy property management professional in mind, the strategies are fast, easy, and inexpensive to implement. 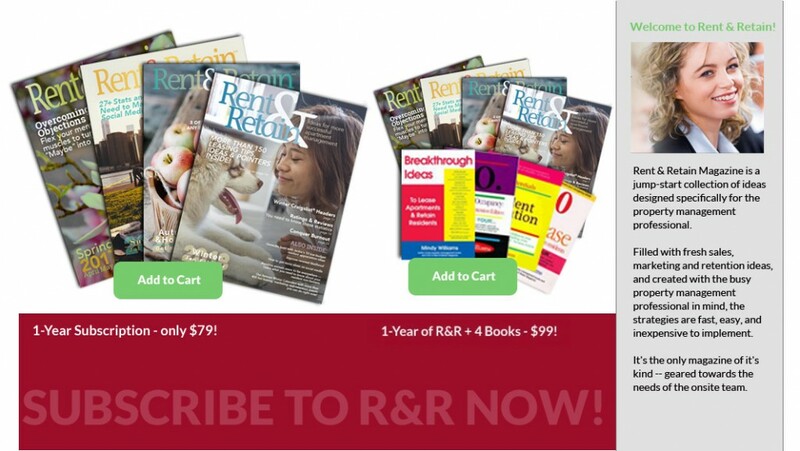 It’s the only magazine of it’s kind — geared towards the needs of the onsite team. 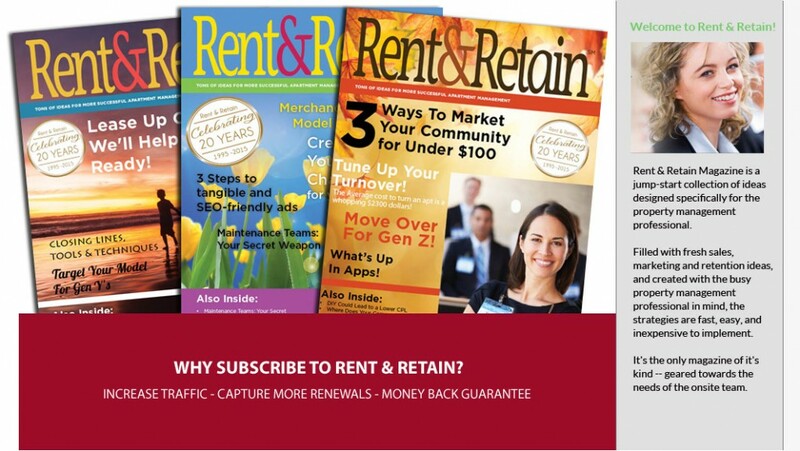 A small investment in Rent & Retain Magazine and our books makes your money back for you quickly — because you are guaranteed to lease an apartment or retain a resident or your money back. It’s really an easy decision. 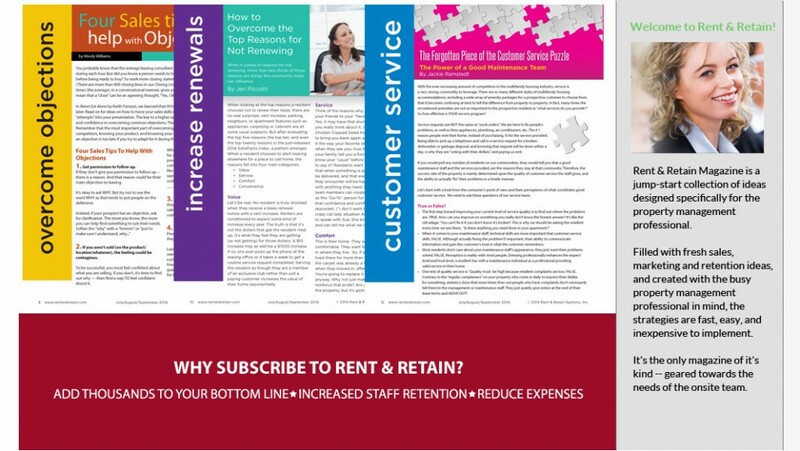 Say a new lease’s value is $900 per month. 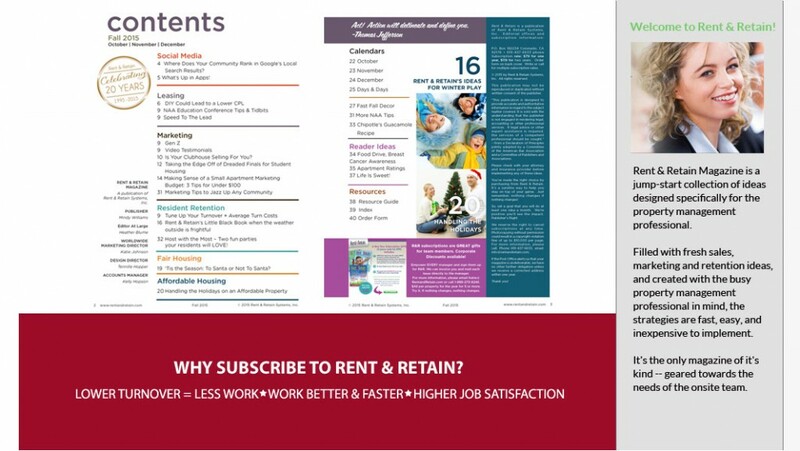 This equals $10,800 a year. If you don’t make back your money, we’ll refund your money 100%. 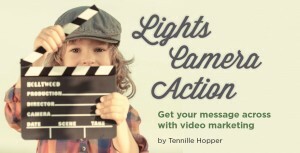 Check out these recent articles packed with actionable tips you can use now!